HTC seems to have finally turned the corner with the U11. 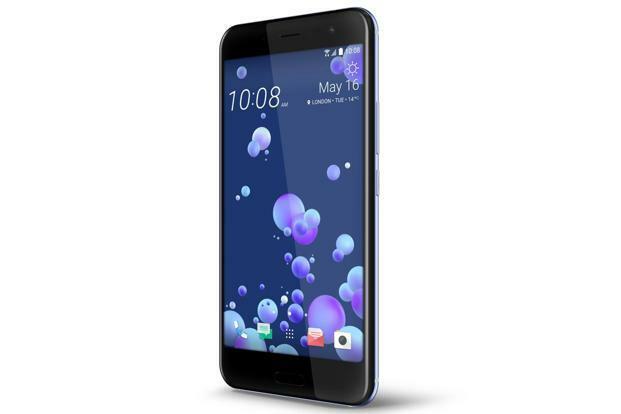 It has a glass and metal design, and HTC describes the glass layer on the back as “liquid”. The phone has a refractive layer, and you’ll see different shades of light reflecting off it. The glass on the front and back cascades into the side spines. The shiny finish catches fingerprints and dust easily. This is a phone that likes to be “squeezed”. This one-of-its-kind feature, known as Edge Sense, relies on pressure sensors embedded into the sides of the phone (you cannot see them). You can, for instance, set the camera to start with a squeeze. You can even configure the phone for long-squeeze and short-squeeze gestures— this feature can open any app installed on your phone, activate Google Assistant, turn on the flashlight, even enable audio recording. The U11 has a 5.5-inch display (2,560 x 1,440 resolution). The Super LCD 5 display offers bright colours and great contrast. The only niggle is that this display cannot match the LG G6 or the Samsung Galaxy S8 for brightness—this means that in sunlight, viewing will be slightly hampered by reflections. HTC hasn’t settled for anything less than Qualcomm’s top-of-the-line Snapdragon 835 processor, paired with 6 GB RAM. You get excellent multitasking and gaming performance. In fact, it is faster in general than the Exynos 8895 powered Samsung Galaxy S8. The HTC Sense interface is slicker and lighter. The Artificial Intelligence powered Sense Companion tool will, for instance, send you information on traffic, weather and locations once it understands your travel habits, phone usage and app preferences. It was always going to be a tough job to match the optics performance of some current flagships, but all doubts have been put to rest. The U11’s 12-megapixel camera, called UltraPixel 3, has an f1.7 aperture and quick focus speeds. What you get across landscape shots, HDR photographs, macro photos and low-light photos are pristine colours and sharpness. There is an adequate amount of noise reduction, and it doesn’t wipe out the finer details. The 3,000 mAh battery, paired with the new chip improvement, lasts a day with ease through medium usage, and a few hours into the next day with the power-saver mode active. This is a complete phone with top-notch performance, a great design and an excellent camera. It is priced right too for the 128 GB storage variant, which is perhaps the biggest positive.